Get awesome results with inbound done right. Inbound marketing is a proven approach to lead generation and revenue growth that aligns with buying behavior in the digital age. Inbound works by building and executing a targeted, data-driven strategy to attract, convert, and nurture leads. Inbound combines elements of content marketing, website optimization, branding, SEO, and other marketing disciplines to transform your website into a beacon of valuable information for your prospects. 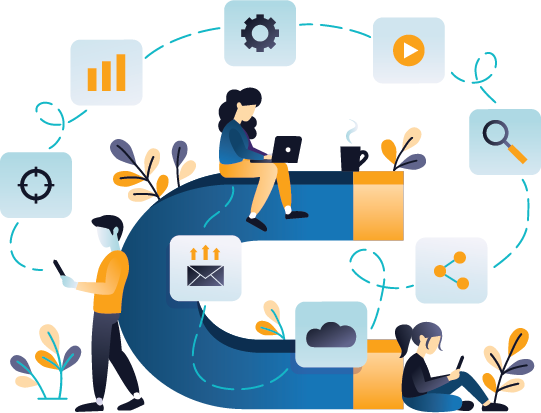 Powered by marketing automation technology and informed by data, strategic lead nurturing campaigns further qualify and engage leads to move them through your funnel. The result is a predictable stream of qualified, warmer leads that improves steadily over time. Get a comprehensive set of inbound marketing definitions to provide your team with a common lexicon. HQdigital is a full-service inbound marketing agency and consultancy. Our world-class inbound marketing experts work with clients to deliver results-focused inbound programs that increase brand awareness, leads, and revenue. 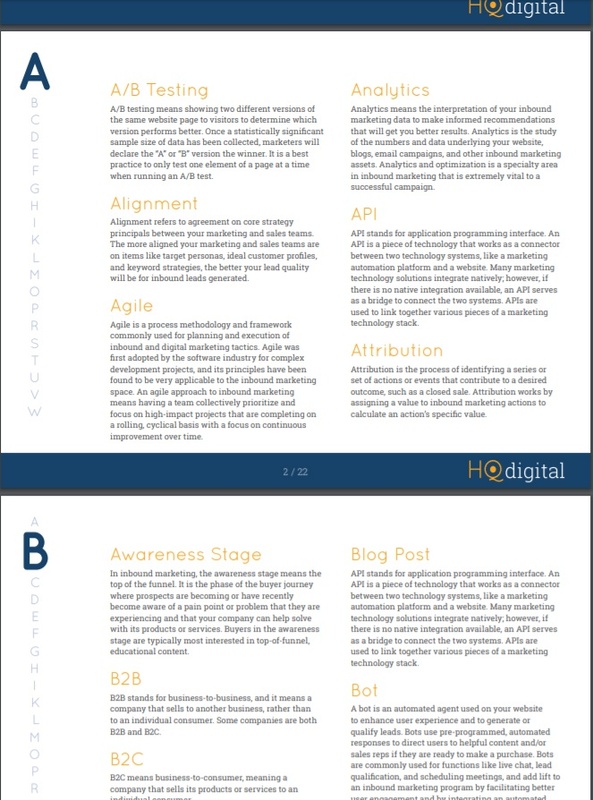 HQdigital has a high level of sophistication in the inbound methodology. They excel at analytics and strategy, and their insights empower their clients to make informed business decisions that generate leads and revenue.